Follow the latest Jamal Khashoggi news, videos, and analysis from ABC News. 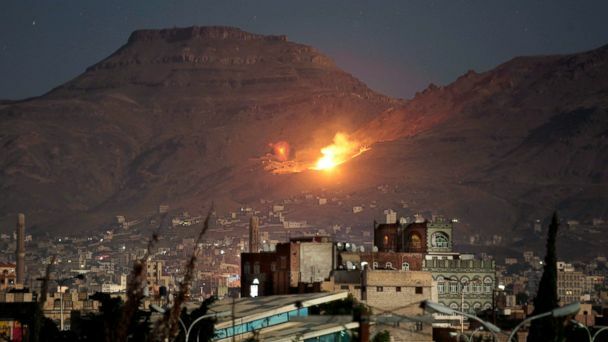 The House passed a resolution to withdraw U.S. military support for the Saudi, Emirati-led coalition in Yemen, which sends a strong rebuke to President Trump. 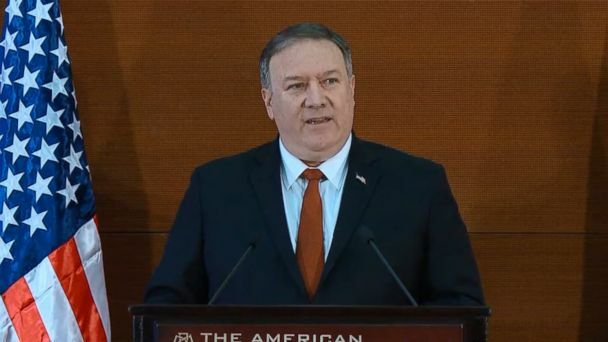 Mike Pompeo pushed back against critics who have accused the Trump administration of protecting the Saudi Crown Prince for his alleged role in the murder of Jamal Khashoggi. 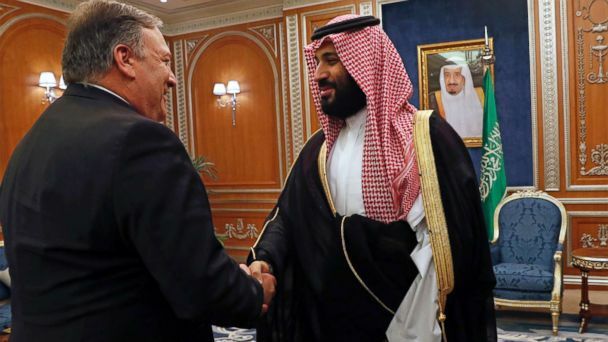 Secretary Pompeo pushed back against critics who accused the administration of protecting the Saudi crown prince for his alleged role in the murder of Jamal Khashoggi. Congress says the White House missed a deadline to answer whether Saudi Crown Prince Mohammed bin Salman was involved in journalist Jamal Khashoggi's death. He didn't mention human rights abuses, including the murder of Jamal Khashoggi. 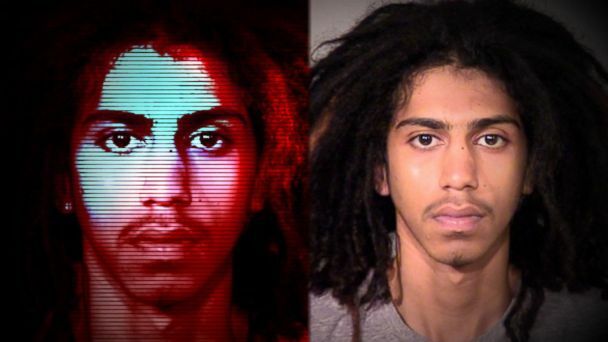 An exchange student from Saudi Arabia is accused of fleeing the country after a deadly hit-and-run crash. 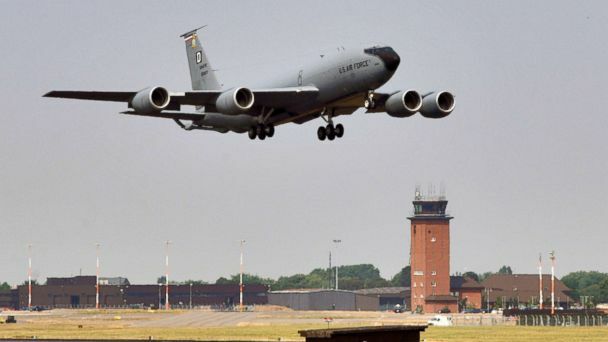 The U.S. military ended its midair refueling mission for the Saudi-led coalition, but other facets of U.S. assistance in Yemen -- though smaller -- are significant. The Senate voted Thursday to stop U.S. support for the Saudi war in Yemen and condemned the Saudi crown prince over his alleged role in a journalist's murder. 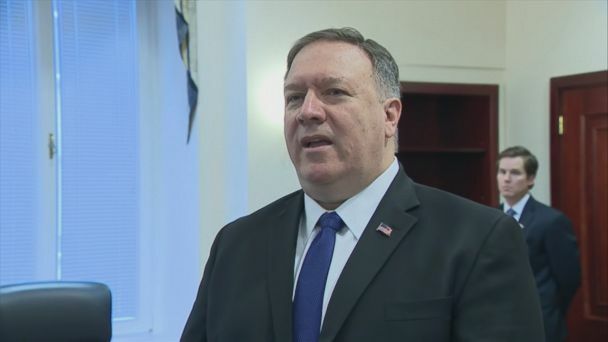 Secretary of State Mike Pompeo's defense stands in the face of growing anger in Congress over the kingdom's actions, which some lawmakers are even calling a cover-up. Here's a timeline on the disappearanc<ul> <li></li> </ul>e and murder of Jamal Khashoggi. 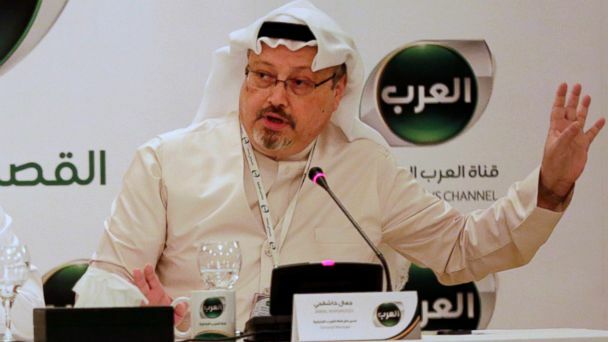 Jamal Khashoggi, Capital Gazette and other journalists are honored by Time. Senators on both sides of the aisle say they want to rebuke Saudi Arabia for the role Crown Prince Mohammed bin Salman allegedly played in Jamal Khashoggi's death. Senate Republican leaders will meet Thursday to discuss how to proceed as many lawmakers seek to punish Saudi Arabia for the brutal murder of a Washington Post columnist. Turkey keeps the pressure on Saudi Arabia over the Khashoggi murder case by seeking the arrest of top level aides. Senators on both sides of the aisle said after a classified briefing by the head of the CIA they're certain the Saudi Crown Prince ordered Jamal Khashoggi's murder. After a briefing by the CIA director, GOP senators say it's likely the Saudi crown prince is guilty of the journalist's murder, and mourners visit the Capitol to pay respects to George H.W. Bush. "There's not a smoking gun, there's a smoking saw," Graham said after being briefed by CIA director Gina Haspel. Gina Haspel will brief a limited group of senators on Tuesday morning. One of President Trump's top allies, Republican Sen. Lindsey Graham, said he's willing to hold up key votes, including a government funding bill, until he gets answers about Jamal Khashoggi's death. With CIA head a no-show at Senate briefing, Pompeo and Mattis cast doubt on Saudi crown prince's role in Khashoggi murder. The secretary of state also declined to say why CIA Director Gina Haspel was not present to brief senators on the killing of journalist Jamal Khashoggi. Authorities are searching a villa for the body of Jamal Khashoggi. The hunt for remains of the writer zeroes in on two upscale villas in a remote Turkish village, while the alleged murder recording is described as "disgusting". 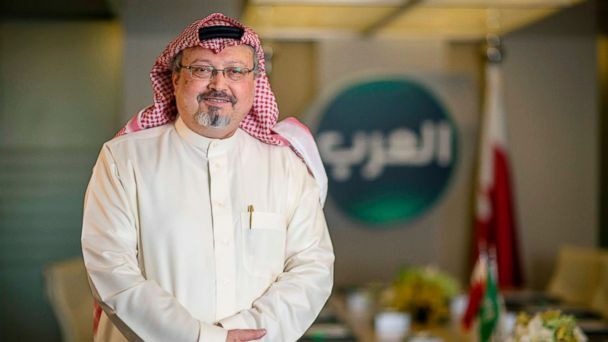 The search continues for the body of Washington Post columnist Jamal Khashoggi nearly two months after he was murdered in the Saudi Arabian consulate in Istanbul. The president said, "if we abandoned Saudi Arabia it would be a terrible mistake," talking about the Saudi Crown Prince's alleged involvement in the murder of Jamal Khashoggi. The president condemned the killing of the journalist but declared the case closed. Trump says the U.S. won't punish Saudi Arabia, Ivanka Trump under fire for using private email for government business and the TOMS founder will donate $5 million to end gun violence. 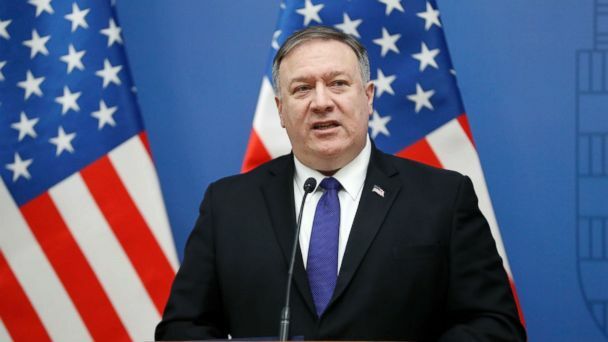 "There are important American interests, to keep the American people safe," Secretary of State Mike Pompeo said. A State Department official tells ABC News a CIA assessment implicates the Saudi crown prince in the killing of journalist Jamal Khashoggi. The president said he didn't need to listen to the recording of the killing of Jamal Khashoggi's murder. The president confirmed the tape, following reports that the CIA concluded Saudi Arabia's Crown Prince ordered the killing inside its consulate in Turkey. Rep. Adam Schiff, incoming Democratic House Intelligence Committee chair, and Sen. Roy Blunt, a Republican on the Senate Intelligence Committee, both discussed the issue. Sen. Roy Blunt, a Republican on the Senate Intelligence Committee, is interviewed on "This Week" about the murder of Jamal Khashoggi and the replacement for Jeff Sessions as Attorney General. President Trump defends Saudi Arabia as a great ally and insists reports that the Saudi prince ordered the murder of Jamal Khashoggi are "premature." President Trump promised a complete report on the killing by Tuesday. Many are wondering how President Trump will respond to new claims, concluding that Bin Salman reportedly ordered the Washington Post columnist's murder. The funeral for Washington Post columnist Jamal Khoshoggi took place in Istanbul despite the fact that his body has yet to be discovered. The U.S. announced sanctions against 17 Saudis allegedly implicated in a journalist's murder. Saudi Arabia seeks death penalty for 5 suspects in journalist's killing, Palm Beach County misses FL machine recount deadline, Pelosi welcomes challengers in fight for House Speaker. Saudi Arabia will seek the death penalty for five of the 11 suspects charged with ordering and carrying out the murder of Washington Post columnist Jamal Khashoggi. What is on the Khashoggi killing tape? Turkish President Erdogan says a Saudi official is "shocked" by the recording they heard of the murder. Turkey's president calls for decisive action from Saudi Arabia. Turkey rejected a French accusation that President Tayyip Erdogan was playing political games over the murder of Jamal Khashoggi.